The Clean Air Board applauded the Environmental Protection Agency’s decision to set a stronger national air quality standard on fine particulate matter (PM2.5), also known as soot – one of the nation’s most lethal air pollutants. The U.S. Environmental Protection Agency (EPA) set limits on these airborne microscopic particles, following the findings by independent scientists that this pollutant causes premature death at levels well below what was considered safe. Carlisle, PA (May 18, 2007) – The Unitarian Universalists of the Cumberland Valley (UUCV) are pleased to announce that with a generous matching gift designated for purchase of an air quality monitor of $7,500 from Keen Transport, they have met their goal to purchase a portable, real-time monitor for fine particulate matter (PM2.5) in air. UUCV shares concerns with Keen Transport, the Clean Air Board of Central Pennsylvania, Inc. (CAB), and local physicians about the serious adverse health effects of fine particulates in the air. The monitor will be maintained and operated by the Clean Air Board, which expects to use it to supplement data provided by the stationery monitor that was recently installed in Carlisle by the state Department of Environmental Protection. The portable monitor will be used to identify and map concentrations of fine particulates in various locations in our area and for public education. Keen and UUCV expect the information obtained to help in the effort to reduce fine particulates. The American Lung Association (ALA) recently ranked Cumberland County as the 14th worst county in the country for fine particulates, and that was based on air quality standards that have since been changed to be more restrictive and data from a monitor located away from the residential areas that are likely to have higher concentrations. UUCV is a regional congregation, located in Boiling Springs, with members who live throughout the Cumberland Valley. Our mission calls us to transform lives and to care for the earth. As stewards of the earth, we are concerned about caring for people and the environment. This donation helps us work toward assuring that the air all of us breathe is healthy. UUCV ANNOUNCES PURCHASE OF AIR QUALITY MONITOR WITH KEEN DONATIONAir Quality Portable Monitor Will Give Real-time PM2.5 ReadingsCarlisle, PA (May 18, 2007) – The Unitarian Universalists of the Cumberland Valley (UUCV) are pleased to announce that with a generous matching gift designated for purchase of an air quality monitor of $7,500 from Keen Transport, they have met their goal to purchase a portable, real-time monitor for fine particulate matter (PM2.5) in air.The Rev. Duane Fickeisen, co-minister of UUCV, said, “I am grateful to Keen Transport for contributing toward the purchase of the monitor. This donation demonstrates Keen’s commitment to our community and to protecting the air we breathe. Keen’s contribution matches dollar-for-dollar donations from concerned citizens and physicians. The portable monitor will be used to identify and map concentrations of fine particulates in various locations in our area and for public education. Keen and UUCV expect the information obtained to help in the effort to reduce fine particulates.The American Lung Association (ALA) recently ranked Cumberland County as the 14th worst county in the country for fine particulates, and that was based on air quality standards that have since been changed to be more restrictive and data from a monitor located away from the residential areas that are likely to have higher concentrations.UUCV is a regional congregation, located in Boiling Springs, with members who live throughout the Cumberland Valley. Our mission calls us to transform lives and to care for the earth. As stewards of the earth, we are concerned about caring for people and the environment. This donation helps us work toward assuring that the air all of us breathe is healthy. Harrisburg, PA (October 18, 2006) – To jump-start the regulatory process and to accelerate the arrival of cleaner, healthier air for all Pennsylvanians, a group of doctors, clergy, educators, concerned citizens, and municipal officials today asked the Rendell Administration to enact anti-idling regulations on commercial diesel vehicles. Reducing the time a truck or bus spends idling will cut the level of dangerous fine dust (particulate) emitted into the air across the state. The Clean Air Board of Central Pennsylvania, Inc. (CAB) presented petitions to DEP and PennDOT Wednesday containing language to limit idling by commercial diesel vehicles. Due to an extensive interstate road system and favorable geography, Pennsylvania has become a transportation and distribution hub for the nation. Every truck that uses Pennsylvania roads, rest stops and truck facilities, and idles over a long period of time, adds pounds of pollutant dust to the state’s air. Carlisle, PA (November 21, 2007) – The Unitarian Universalists of the Cumberland Valley (UUCV), as part of their commitment to the Clean Air Board of Central Pennsylvania, Inc. (CAB), raised funds for the purchase of a monitor to sample the air we are breathing. Keen Transport offered matching funds which expedited the fund-raising process significantly. The monitor has arrived and five CAB members have received factory training in its operation. The monitor was unveiled at a press conference on November 28, 2007 at Keen Transport. CAB also conducted a naming contest for the monitor. The winning name is “Airestotle”, and the winner is Connie Rae Clark. Cumberland County air quality is poorer than EPA standards and has been designated as being in non-attainment of the EPA Annual PM2.5 standard. Pennsylvania DEP is now requesting that Cumberland County also be designated as being in non-attainment of the PM2.5 24-hour standard. DEP/EPA currently have two PM2.5 monitors at fixed locations in Cumberland County that show that our air is among the nation’s worst. This portable monitor can be used to identify areas that are candidates for closer scrutiny by the EPA/DEP. The Unitarian Universalists of the Cumberland Valley is a congregation whose mission is to transform lives and care for the world. Unitarian Universalists have long been advocates for care of the environment and for health. They are pleased to cooperate with CAB in working to assure that the air we breathe does not compromise the health of people who live and work in our communities. The Clean Air Board was formed in the fall of 2005 after over 100 Cumberland County physicians signed and published in the newspaper an open letter informing the community of the growing danger of ozone and particulate pollution. The Clean Air Board of Central Pennsylvania is a faith-based citizens’ initiative dedicated to achieving clean air to protect our health and quality of life. Aristotle’s work was very important to ethics, politics, science, and philosophy. His scientific work was grounded in empirical approach — starting with observation and data — and moving from there to understanding how the world worked. 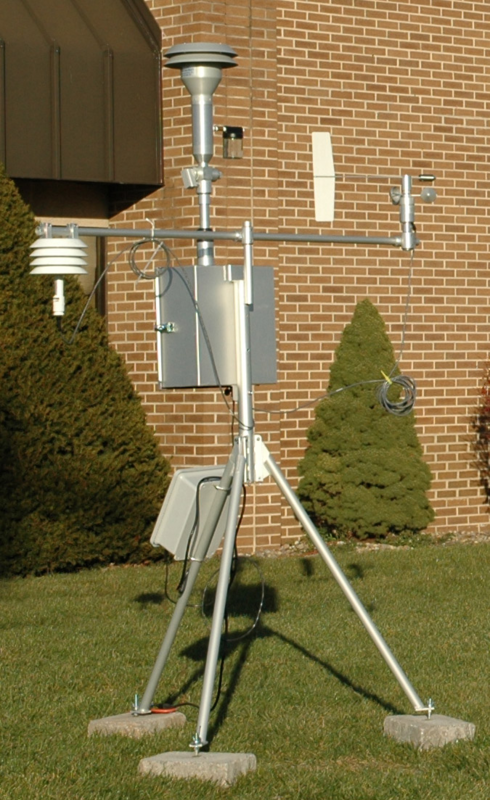 Thus our monitor falls in that tradition of observing and collecting information (data) from which we hope to better understand air quality in the Cumberland Valley. With regard to communities, Aristotle was among the first to argue that the city is organic, growing naturally. He claimed that as citizens we have a responsibility to community and its care. CAB’s commitment to air quality as it relates to health is in that tradition of care for the values of the community. Aristotle’s ethics were about moderation and steering a course between the evils of excess and asceticism. Some would suggest that CAB falls into that with regard to our region — that we seek to be mainstream, not radical on issues of balance (an important concept for Aristotle) between modern life and development and reasonable care for our health and wellness. WASHINGTON – The U.S. Environmental Protection Agency today announced a new national air quality standard for nitrogen dioxide (NO2). This new one-hour standard will protect millions of Americans from peak short-term exposures, which primarily occur near major roads. Short-term exposures to NO2 have been linked to impaired lung function and increased respiratory infections, especially in people with asthma. The agency set the new one-hour standard for NO2 at a level of 100 parts per billion (ppb). EPA also is retaining the existing annual average standard of 53 ppb. NO2 is formed from vehicle, power plant and other industrial emissions, and contributes to the formation of fine particle pollution and smog. Earlier this month, EPA proposed to tighten the nation’s smog standards to protect the health of all Americans, especially children. EPA is establishing new monitoring requirements in urban areas that will measure NO2 levels around major roads and across the community. Monitors must be located near roadways in cities with at least 500,000 residents. Larger cities and areas with major roadways will have additional monitors. Community-wide monitoring will continue in cities with at least 1 million residents. Working with the states, EPA will site at least 40 monitors in locations to help protect communities that are susceptible and vulnerable to elevated levels of NO2. The new standard will help protect Americans from NO2 exposures linked to respiratory illnesses that lead to emergency room visits and hospital admissions, particularly in at-risk populations such as children, the elderly, and asthmatics. EPA expects to identify or designate areas not meeting the new standard, based on the existing community-wide monitoring network, by January 2012. New monitors must begin operating no later than January 1, 2013. When three years of air quality data are available from the new monitoring network, EPA intends to redesignate areas as appropriate.